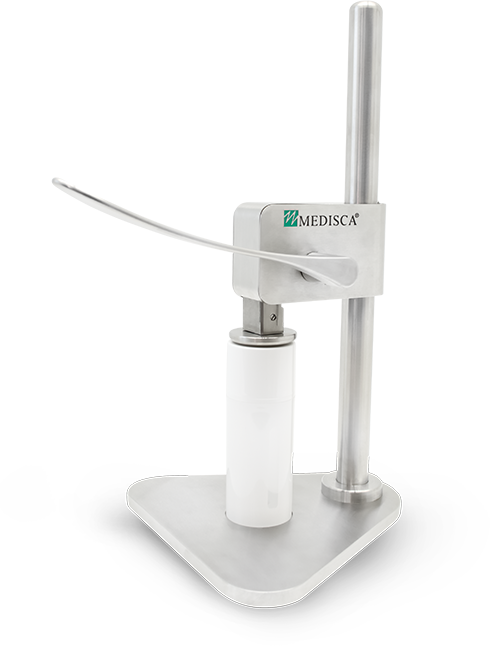 MEDISCA has expanded and diversified the MD Dispensers portfolio to cater to the needs of different niche markets. This line provides improved efficiencies, design differentiation and functional benefits that ultimately enhance your patients' overall product experience. MD Jars feature a refined design and cosmetic appeal. 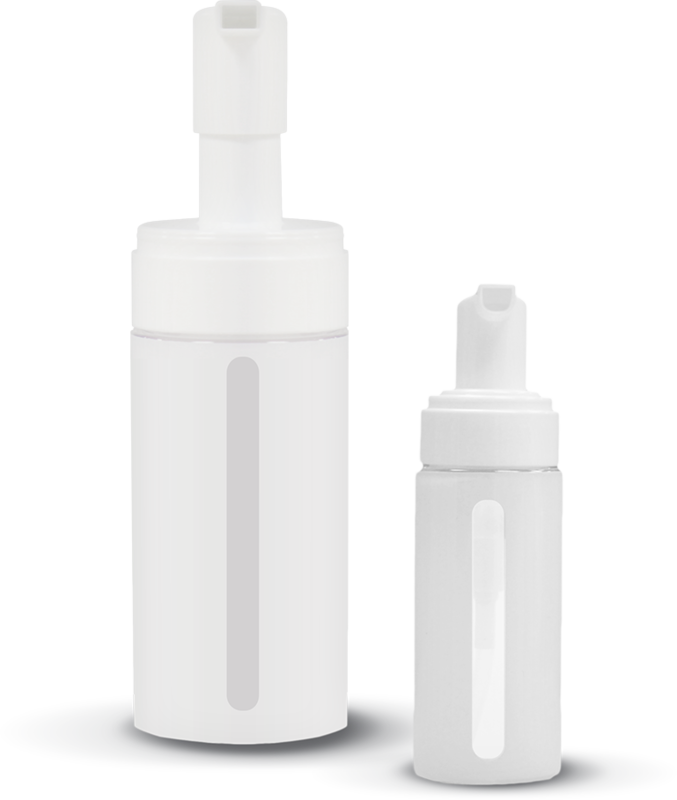 With convenient "press to use" mechanism, MD Jars allow for hygienic use and protection from oxidization without sacrificing accurate measuring of the dose. Available in 50 mL size with 0.5 mL actuation. MD Pumps are engineered keeping accuracy and precision at the forefront without compromising pharmaceutical elegance. 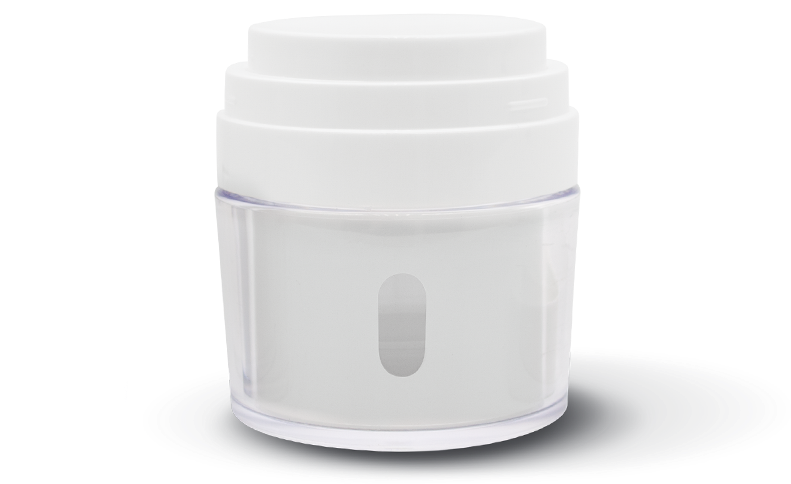 Featuring a UV-resistant view window, this dispenser ensures that patients can easily and accurately dose medications. Available in a range of sizes: 15 mL to 240 mL. 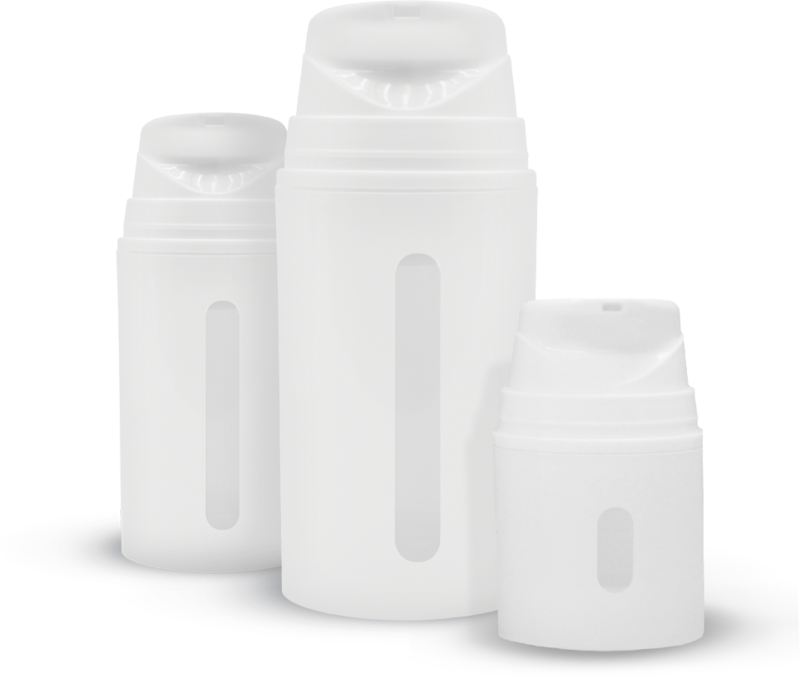 "MD Dispensers provide an ease-of-use solution for applications. A see-through indicator helps patients know when their medication is low so it can be ordered without a break in treatment. 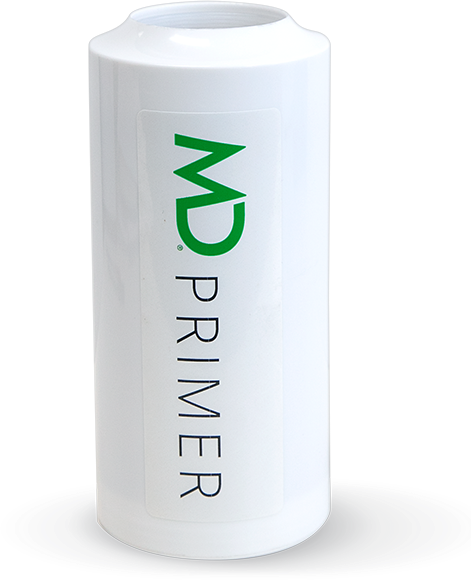 MD Dispensers are the only device that topical preparations should be dispensed in." MD Actuators' exterior design features various colors to facilitate medication identification. The Actuators fit all MD Pump bottles for added flexibility of metered dosing options. 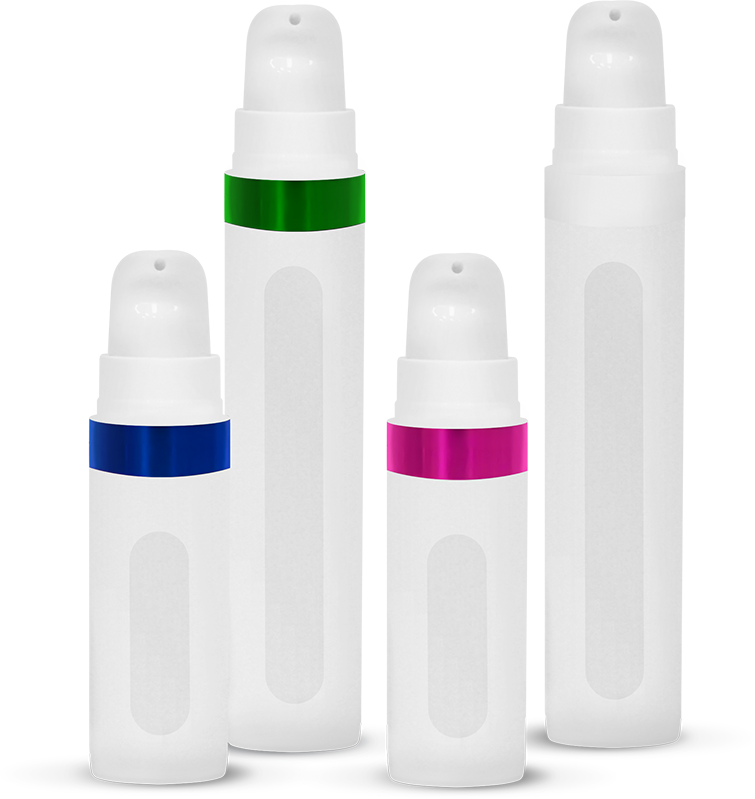 Available in green, blue, pink and white and 3 dosage options: 0.5 mL, 1 mL and 1.5 mL. With a sleek medical look, a silicone tip for smooth application and excellent evacuation, the MD Syringes are elegantly designed and easy to operate. They provide a repeatable and accurate dose each time for optimal efficiency and targeted delivery. Available in 5 mL and 10 mL size with 0.15 mL actuation. 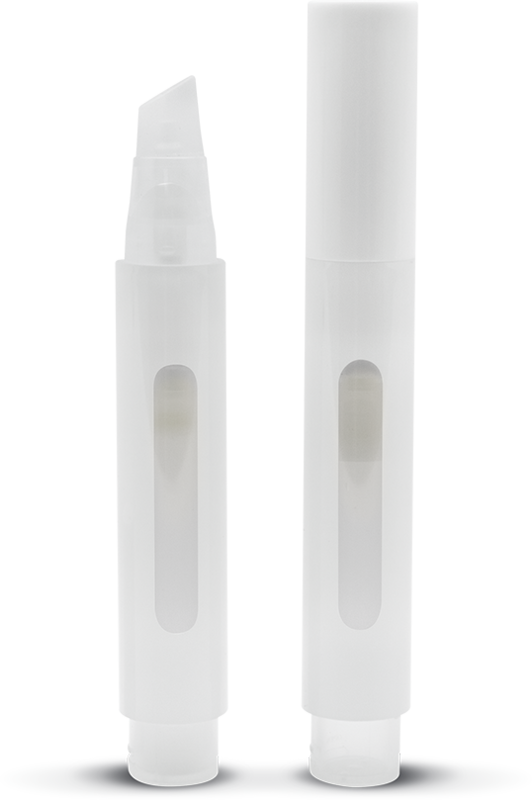 The MD Pen features a slim pen-type look that facilitates the application of the medication. Unlike a felt tip, a silicone tip allows for smooth application eliminating the risk of bacterial build up or contamination. Available in 6.5 mL size with 0.10 mL or 0.15 mL actuation. Did you know that the properties of the foam produced are dependent on both the quality of the foam base and the dispenser used? The MD Foamer is essential to creating a dense and creamy foam. Available in 50 mL size with 0.5 mL actuation or 110 mL with 0.7 mL actuation. MD Minis are compact, practical and are specifically developed for patients with on-the-go busy lifestyles, allowing them to discreetly apply their medications. Available in 5 mL and 10 mL sizes with 0.15 mL actuation. Disclaimer: LP3 Network is an independent educational corporation. 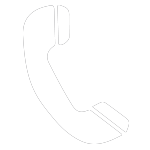 Information on LP3 Network is for educational purposes only and not intended for the advertisement or promotion of any MEDISCA products for therapeutic or other purposes.